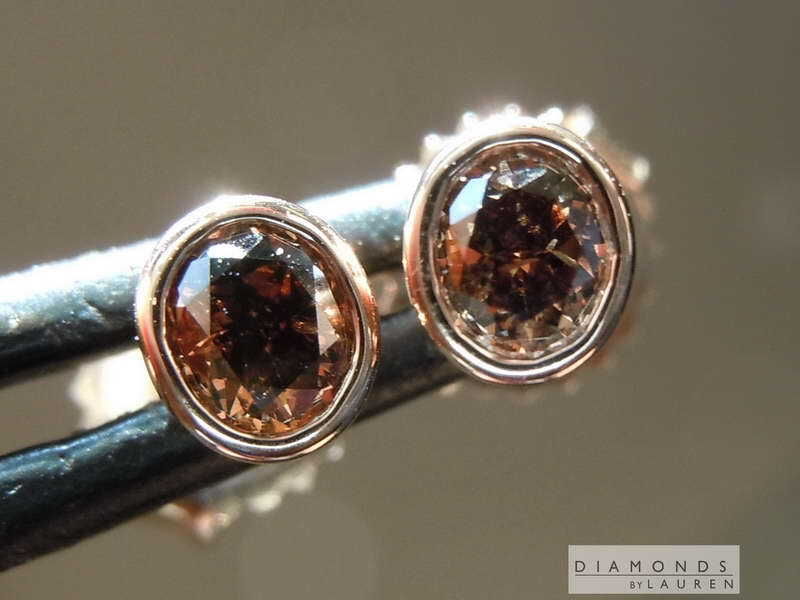 These are beautiful chubby oval diamonds. 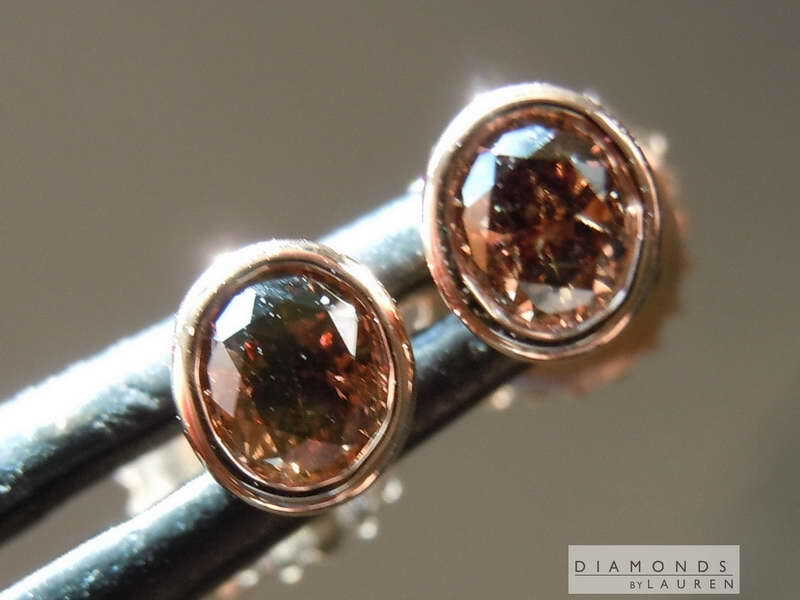 Yes, they are I1 in clarity, but the color hides the imperfection. 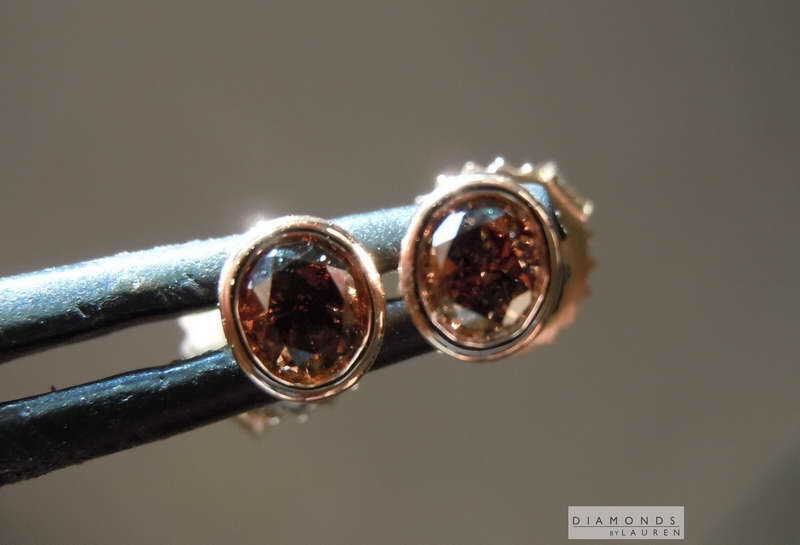 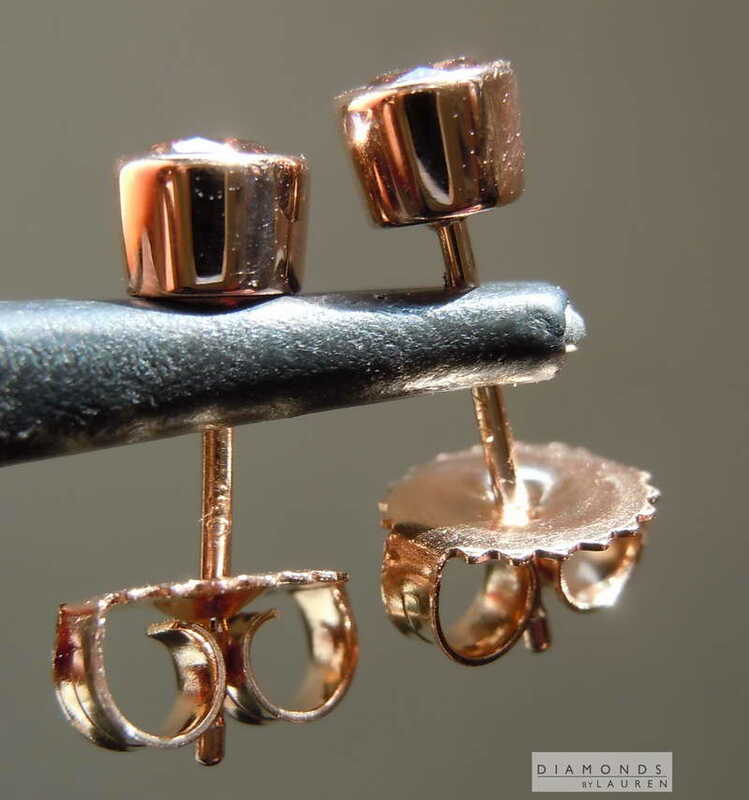 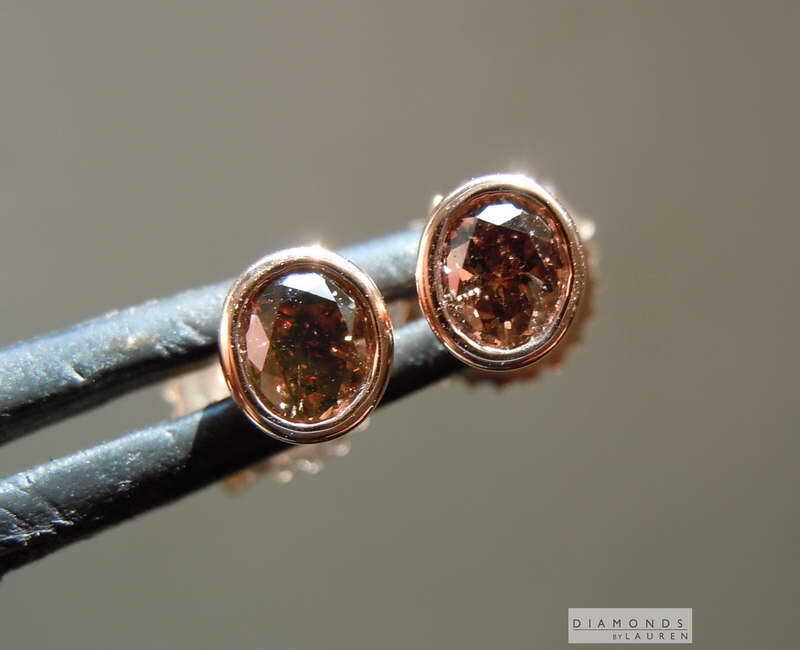 That color is truly brassy brownCustom made 18kt rose gold bezels - extremely clean work.